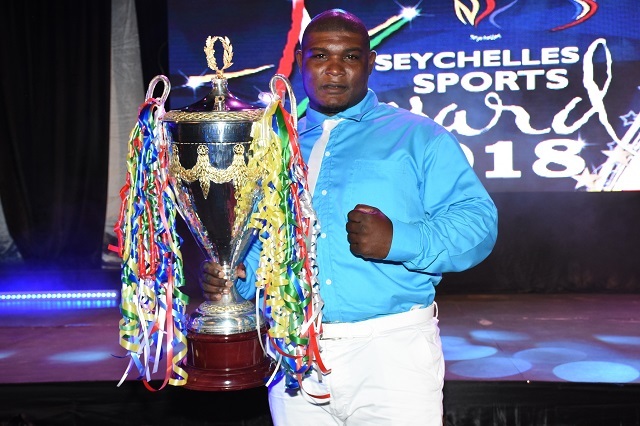 (Seychelles News Agency) - Boxer Keddy Agnes and badminton player Alisen Camille are the Seychelles’ Sportsman and Sportswoman of the Year 2018. Agnes and Camille were crowned on Friday evening in a ceremony at the National Sports Council (NSC) Hall in the central district of Roche Caiman. For Agnes, a super heavyweight boxer, this is the first time he has won the coveted title while Camille came out best for the second time after winning the title in 2011. The Sportsman and Sportswoman award ceremony is an annual event which recognises athletes who have excelled in their sports discipline in Seychelles, an archipelago in the western Indian Ocean. 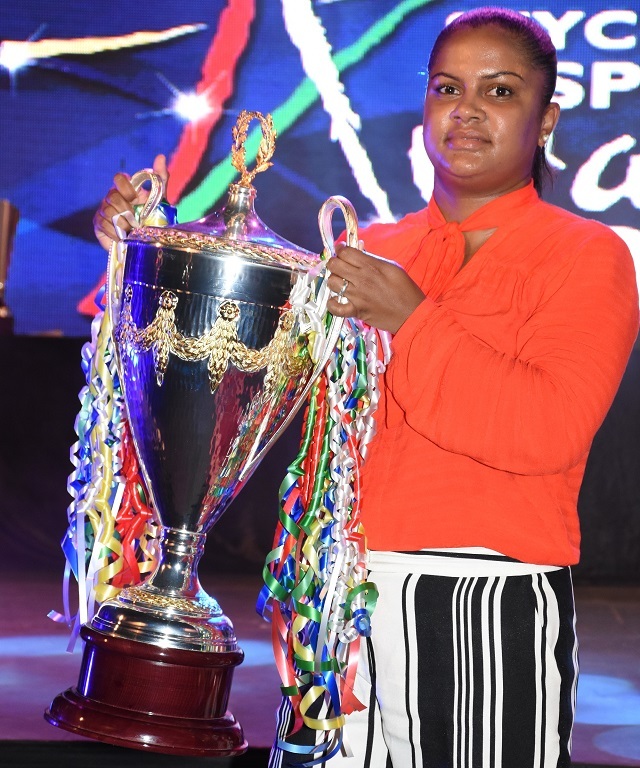 The winners of the titles walk away with a cup presented by the President of Seychelles, Danny Faure, and a cash prize of $1,825 (SCR25,000). Agnes, who won four medals in international competitions last year, told reporters that he was positive he would be among the top finalists at the ceremony. “I knew that in 2018 I performed quite well, especially at the Commonwealth Games where I won the country’s only medal,” he said. The super heavyweight boxer said that he was thankful for all the support he got in 2018. “First of all, I am very happy and I want to thank everyone, especially my family, my partner and most of all my coaches Rival Payet, Jerry Legras and Roland Raforme, who without them, I would not be here today,” said Agnes. Athletes from Seychelles will be joining those from other islands in the region for the 10th edition of the Indian Ocean Island Games in Mauritius schedule to take place from July 19-28. “Preparations have been intense and have started since last year with a lot of training camps and this year it will be even harder. I am determined to retain my title and in order to do that I need to train harder which I will do,” he added. Agnes succeeds sprinter Dylan Sicobo. The Seychelles’ new Sportswoman of the Year, Camille, said she was very happy to win the title for a second time. “The gold medal I won at the All Africa Badminton Championships is surely the result of such achievement,” said Camille. The badminton player paired with her cousin and twice best sports lady of the year Juliette Ah-Wan (2000 and 2007) to win the women’s doubles gold medal at the All Africa Badminton Championships in Algiers, Algeria last year. In the final of the competition, the pair defeated Dona Hany and Hania Hosny from Egypt, to win the title for a second time after being victorious in 2013 in Mauritius. With the Indian Ocean Island Games slowly approaching Camille says that even though she has not preparations yet, she is confident that her result will speak for itself. Camille succeeds high jumper Lissa Labiche who was among the 10 female finalists at the ceremony on Friday. 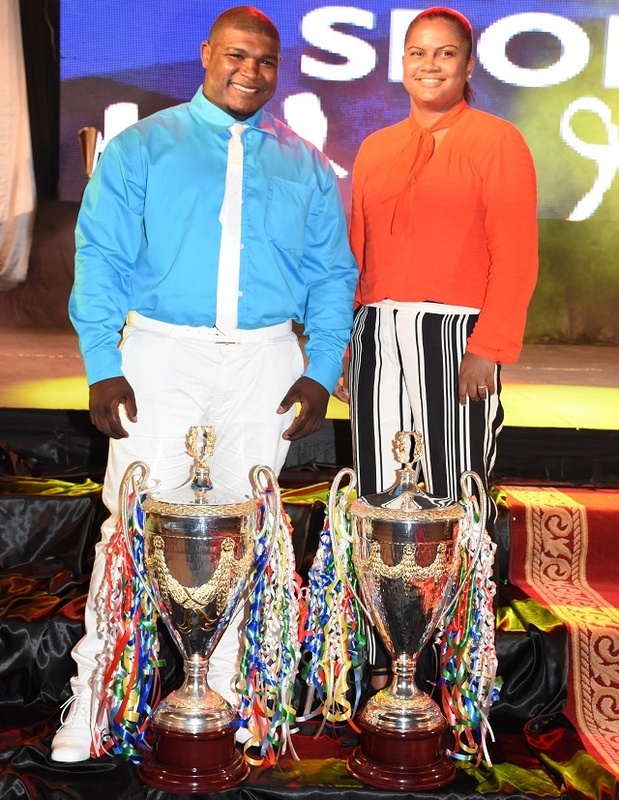 The evening saw the crowing of the best athletes in 36 sports discipline a category dedicated for special awards to those who have made important contributions in sports in Seychelles. Among the awards presented were also the young male and female athlete of the year. Tennis player Damien Laporte who won the title in 2016 was crowned the best young male athlete finishing ahead of sailor Dominique Labrosse and athlete Denzel Adam. In the female category, weightlifter Chakira Rose won the title ahead of swimmer Therese Soukoup and sailor Rebekah Payet. The prizes for the young male athletes of the year is $512 (SCR7,000) and a trophy. All other athletes chosen as the best in their respective sports also won $364 (SCR5,000) a trophy and a certificate. Olympic-sized riddle: How many medals can Seychelles win in Mauritius in 2019?